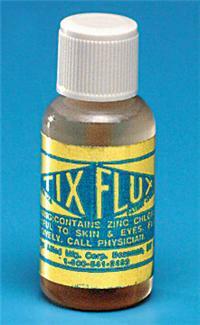 Tix Flux cleans and prepares metal for best solder adhesion. Works with any soft solder. Washes off with water. 1/2 oz. Click the button below to add the TIX SOLDERING FLUX, 1/2 OZ to your wish list.